The name, Amiri Baraka, has been known to me since my teens, when I was a member of the Black Panther Party. His name was often linked with that of Dr. Maulana Karenga (credited with founding Kwanzaa) of the LA based US Organization, which began as competition with the LA Black Panthers for influence in Black LA, and devolved into a deadly feud between enemies, aided and abetted by the maliciousness of the FBI. But Baraka posed an intriguing figure, for he radiated both love and rage, funneled through his poems which pulsated with revolutionary fire. He was born in 1934 in Newark, NJ, as Everett LeRoy Jones, and become a rising star of the Beat era in the East Village of New York. That moment spurred him on to seriously read, study, and enlarge his understanding, nor for a grade, but for the simple “joy” of learning. He gorged himself on books. On all kinds of subjects, poetry, history, statistics – and beyond. That trip radicalized him and his poetry, and spurred him on to Black cultural nationalism, revolutionary nationalism, Marxism and the building of Black community organizations. The impacts of learning and Cuba kept him seeking the correct synthesis of revolutionary politics, to transform society. Although lesser known, he was a music critic of considerable insight. His love of jazz was deep; even spiritual. But he also loved RnB (rhythm & blues), gospels and blues, as cultural expressions of various stages of Black life. He also dug rap, it being, at bottom, poetry; but he condemned the corporate control over its production and distribution. 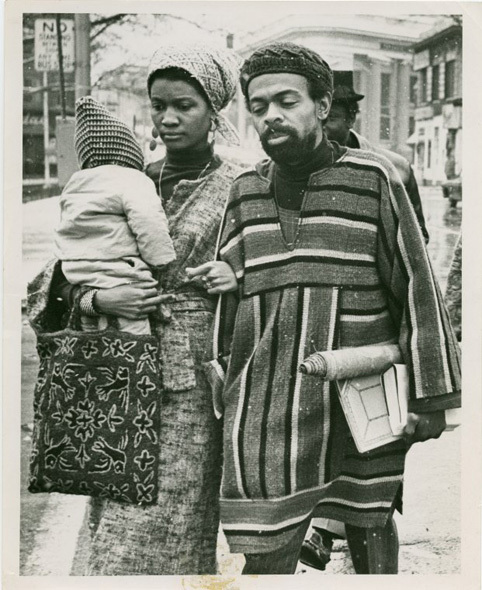 Amiri Baraka and his wife, Amina, were good friends of MOVE’s Pam Africa, and spent time together when she was in Newark. This entry was posted in american history, books, news, newspaper, radio, television, world history. Bookmark the permalink.